The razor-sharp but damaged Valerie Solanas, a doomed lesbian biker gang, recovering alcoholics, and teenagers barely surviving at an ice creamery: these are some of the larger-than-life, yet all-too-human figures populating America's fringes. Rife with never-ending fights and failures, theirs are the stories we too often try to forget. But in the process of excavating and documenting these queer lives, Michelle Tea also reveals herself in unexpected and heartbreaking ways. Delivered with her signature honesty and dark humor, this is Tea's first-ever collection of journalistic writing. As she blurs the line between telling other people's stories and her own, she turns an investigative eye to the genre that's nurtured her entire career--memoir--and considers the price that art demands be paid from life. 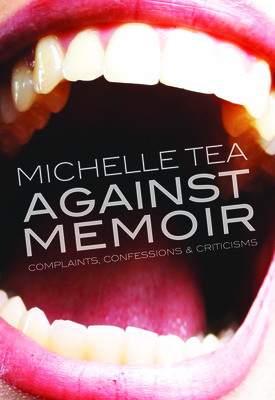 Michelle Tea is the author of numerous books, including Black Wave, Valencia, and How to Grow Up. She is the creator of the Sister Spit all-girl open mic and the 1997-1999 national tour, and founded RADAR Productions, a literary non-profit that oversees queer-centric projects. Currently she creates Amethyst Editions, a queer imprint of the Feminist Press.